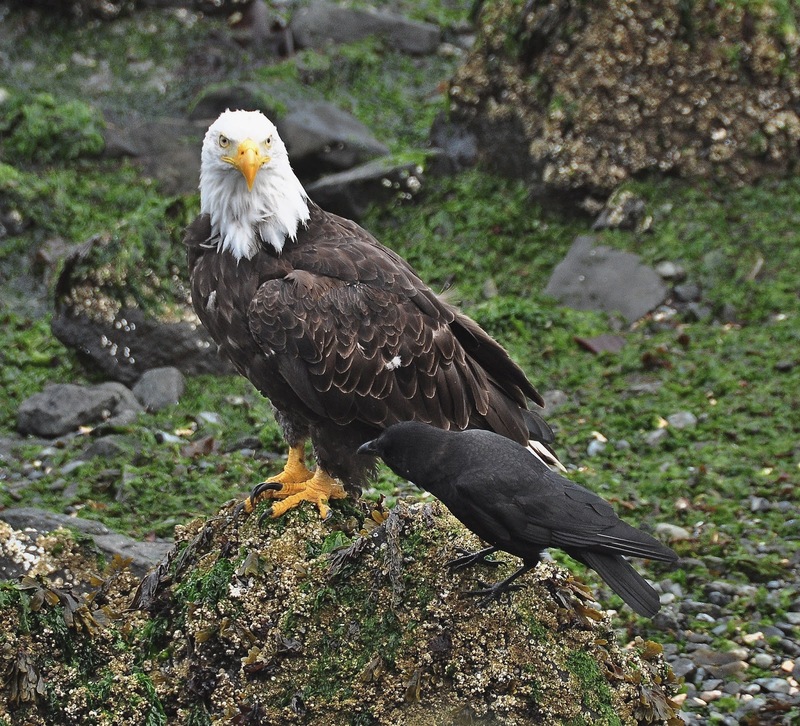 The eagle from the previous post has been joined lately by its mate. 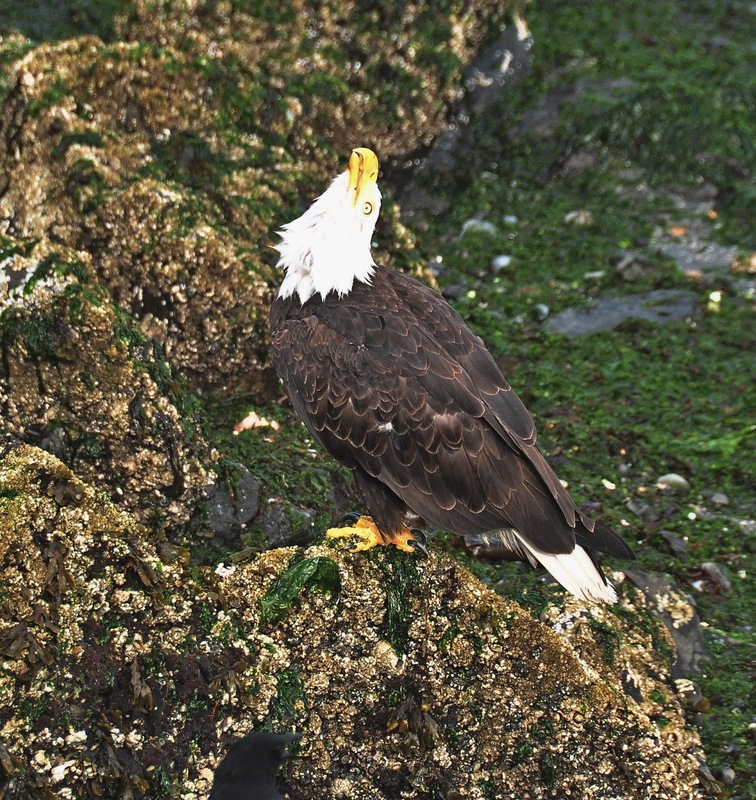 The two Bald Eagles return to Duwamish Head daily as the tide goes out. 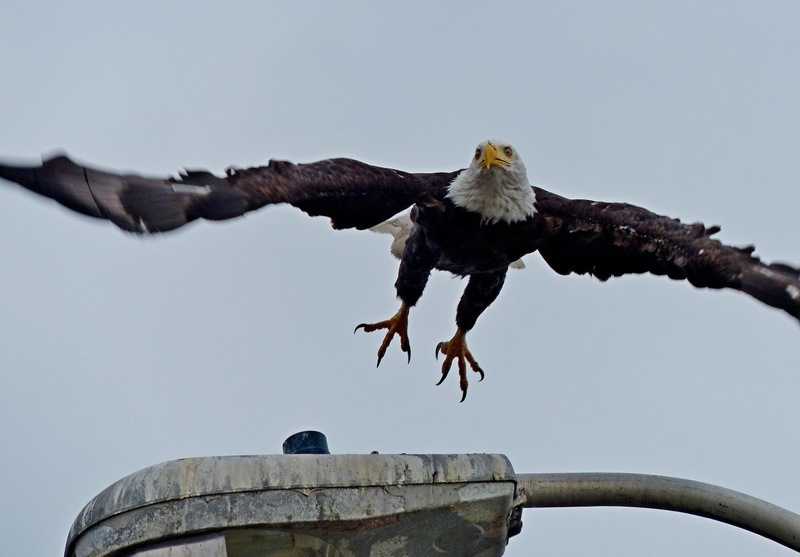 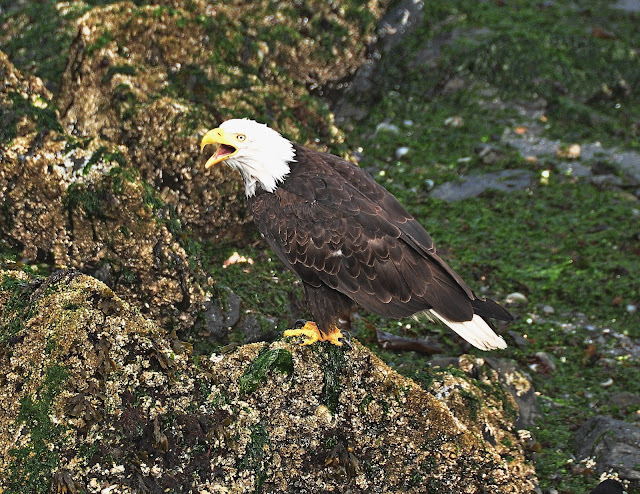 The attraction for the eagles is crab bait left behind by crabbers when they finish. This includes turkey, chicken, fish.....and who knows what else. All is good as far as the eagles, gulls and crows are concerned. 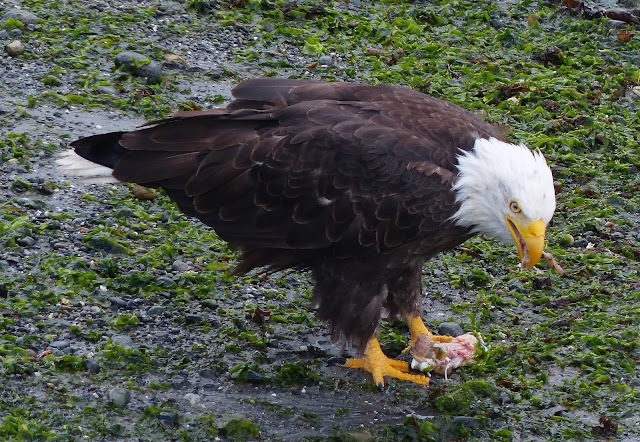 After gorging on crab bait the eagles usually fly out to the navigation platform 1/4 mile offshore for rest time. These eagles are fairly tolerant of people but if you visit please give them at least 30 feet of space....if you want pictures bring a camera with a zoom lens. 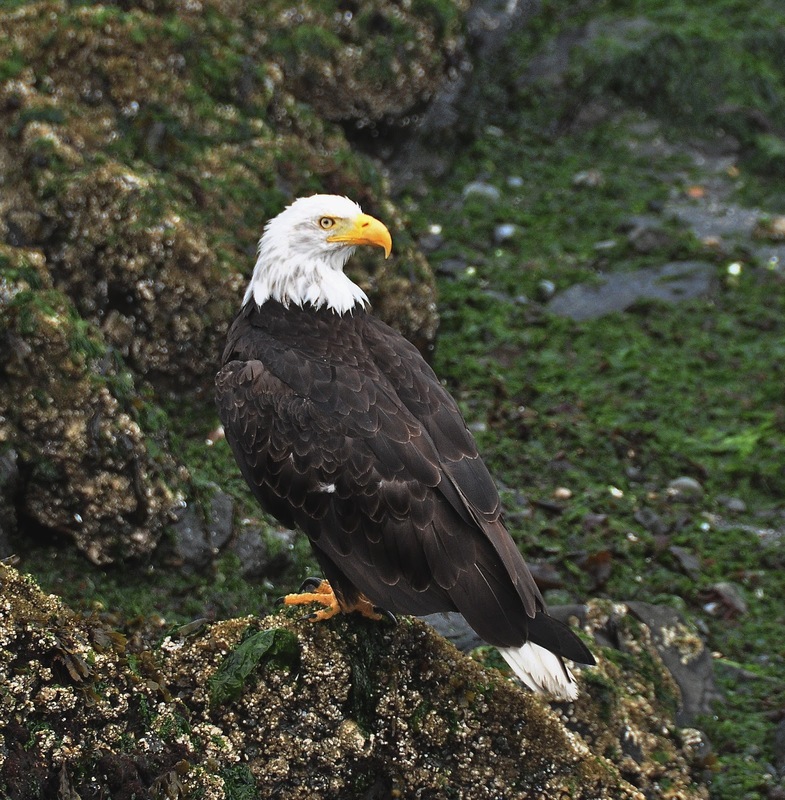 One eagle has an irregular shaped right eye iris which may be a birth defect...I believe this is the male. 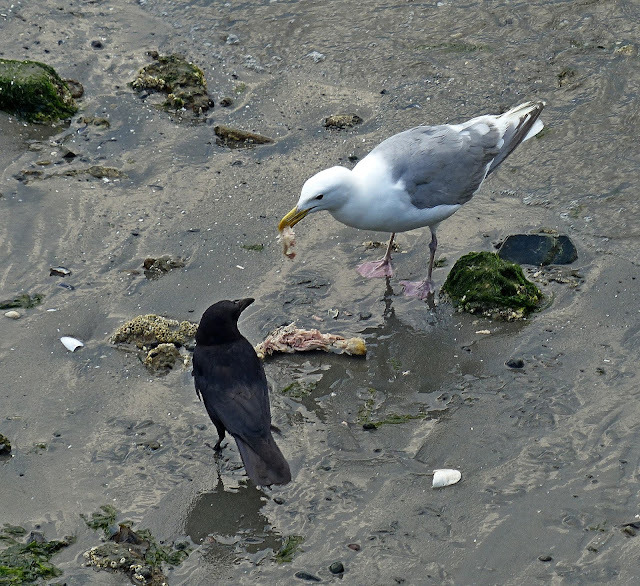 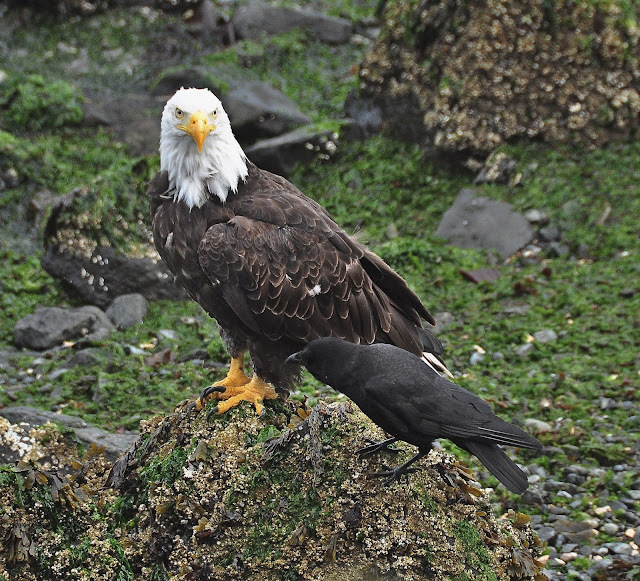 There is a pecking order....Eagles, gulls, crows....however the crows don't seem to know it.